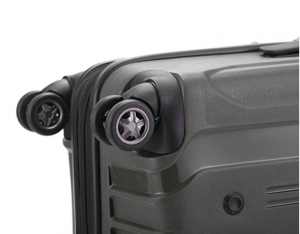 HAUPTSTADTKOFFER has designed their Ostkreuz luggage with German precision. 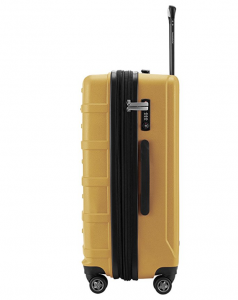 Giving the world a strong and durable suitcase, that has been designed and built to last. With three different sizes, you will be all ready and set to tackle any trip that comes your way. The sleek and stylish design will make sure that you feel confident when using these cases, along with the durability backing up your decision. With the two larger cases being expandable, the suitcases are spacious and accommodating, giving you the ability to pack more items for your trip. Just by looking at them, you instantly know you have got a suitcase set that will stand the test of time. 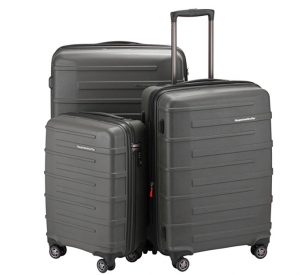 Being a hard-sided suitcase set, these three cases do not come with the exterior pockets that are found on soft-sided suitcase sets such as Samsonite Luggage Set. However, they are very spacious inside, offering a large main compartment where you will be able to store your clothing. Along with it being kept in place by an x-strap, which keeps your suitcase organized and easy to unpack. You will also find inside a mesh zip-lined pocket, which is useful for storing any loose items, or valuables. 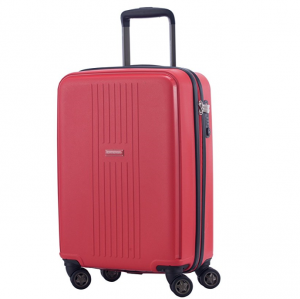 The cabin luggage has a capacity of 37 L, the medium suitcase 82 L, and the large case 126 L, which are very spacious along with being durable and strong. The HAUPTSTADTKOFFER suitcase set comes packed with features that the modern day traveler has come accustomed to. 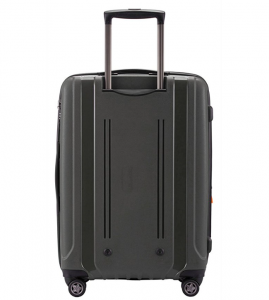 With four 360 degree spinner wheels on the bottom of each suitcase, you will be able to glide through airport terminals with ease, no matter how much you pack inside. 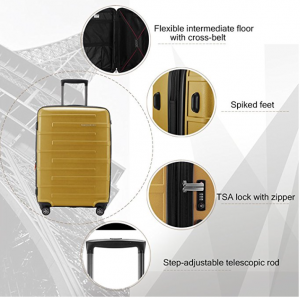 To aid you in making traveling easy, they each come with a telescopic handle, along with carry handles, allowing you to easily pick up and store your luggage with confidence and ease. Do not worry about running out of space, as the two larger of the suitcases have the ability to expand a further 2 inches, giving you extra room to pack those fun and funky souvenirs that you wish to take back home. Just like the Merax Hylas 3 Piece Luggage Set, there are locks on each of the suitcases, however, the ones found on the HAUPTSTADTKOFFER Ostkreuz Luggage Set are TSA approved, giving you the extra peace of mind that your luggage is safe and secure when traveling, with only the US airport security being able to unlock and lock them again. The suitcase set is packed full of features, and is therefore expected to be slightly heavier than those without. The cabin suitcase weighs in at 5.95 lbs, which is relatively lightweight and should give you more than enough extra weight allowance to take what you need and still be under the restrictions set by your airline. The medium suitcase weighs in at 8.15 lbs, and the large suitcase weighs in at 10.1 lbs. 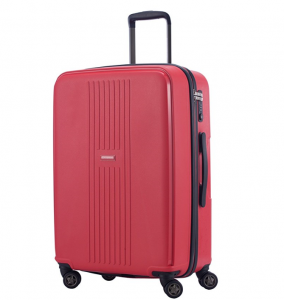 These are fairly lightweight suitcases considering the number of features that they are packed with, giving you more than enough weight allowance to pack everything you need without having to worry. Being designed in Germany and manufactured in China, you may at first be worried about the quality of this suitcase set. It is strong and durable, with a hard wearing polypropylene material being used for the shell. The wheels have been tested for use on a number of surfaces and will stand the test of time and wear that comes with traversing the world’s airports. The only thing that has to be said is that the zippers have been known to break. It is one of the most awkward situations, however, you should know that as long as you take care of this suitcase set and use the expanders when needed, it should not place too much stress on the zippers and last you a long time. The mat design is both professional looking and fun. 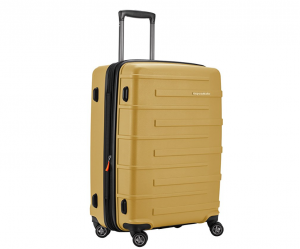 Available in a range of different colors, whether you are looking for a plain black suitcase set or a bright yellow to make you stand out from the crowd, you will be sure to find one that you fall in love with straight away. The horizontal lines in the design, along with the black trim will ensure that it still looks fashionable in many years to come. Although there is no really flamboyant looking suitcase with a cute design, they are suitable for all situations, so that you can attend a business meeting with your carry on suitcase, and head straight for the airport without having to worry whether the case looks unprofessional. 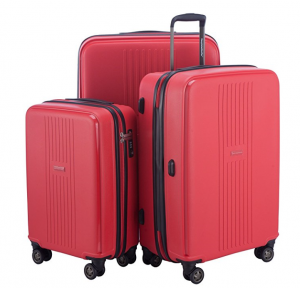 The three-piece hard-sided luggage set is ideal for all types of trips, giving you a choice of three options. The smallest suitcase is a 20-inch cabin bag, which measures in at 21.65 x 14.2 x 8.27 inches. The suitcase has been checked and tested to ensure that it meets the requirements of most airlines and the IATA luggage guidelines. The medium suitcase measures in at 25.5 x 16.11 x 11 inches, and the large suitcase measures in at 29.5 x 20.9 x 11.81 inches. All three suitcases are of a good size, along with being spacious. You will be wondering which one of the three you would like to take with you on your next trip. 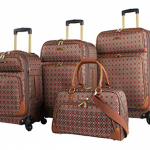 The HAUPTSTADTKOFFER Ostkreuz Luggage Set Matt Suitcase Set comes with a limited lifetime manufacturer’s warranty. 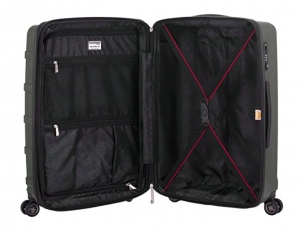 As with most of the luggage warranties, it does cover manufacturing defects and defects in the materials. It doesn’t, however, cover misuse, wear and tear, and mishandling. This is a significant amount of time and really does give you the confidence that the manufacturer really believes in their product and you should too. 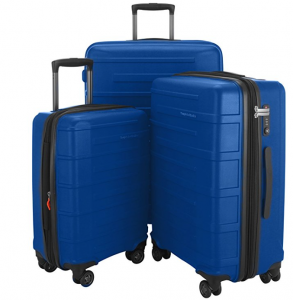 Sleek, stylish, and professional looking set of three suitcase! 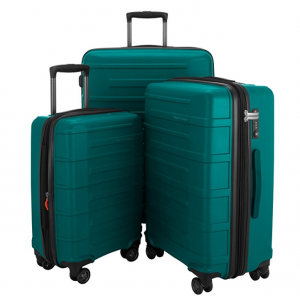 The HAUPTSTADTKOFFER Ostkreuz Luggage Set is a sleek, stylish, and professional looking set of three suitcases, each one designed for a specific use and will ensure that your luggage is well looked after and taken care of when inside the suitcase. 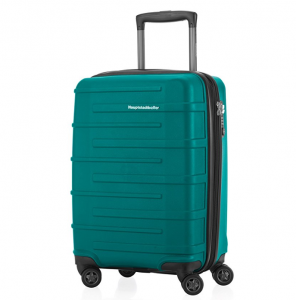 They come packed with all the features of a modern day suitcase and with the lifetime manufacturer’s warranty should last you for quite a number of years.